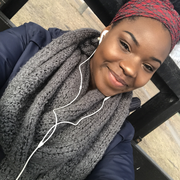 have worked as a pre-k teacher for three summers, I have taught 6th grade bible study, I am a youth volunteer, I also taught double bass lessons from kids ages 12-16.I am 18 years old and I am currently a college student but because of expenses I will be taking a smemester or two off. My major is premed/pediatric neurology. I am experienced with kids with disabilities. Please feel free to contact me and i will email my resume. I am very trustworthy and fun. My email is jayneveillard209@gmail.com and please feel free to call me. I am there when you need me.